Last week, our traffic was just a hair more on desktop than mobile. I suspect in the coming weeks we will permanently shift to smartphones as the dominant platform for readers on HubPages. We’ve invested in our mobile design and we will have to do more to improve it. I strongly recommend laying out Hubs with the mobile reader in mind. The best practice for this is to use all full width capsules. In the Hubtool, there is a mobile preview button as well. Be sure to preview your Hubs before publishing if you have any floated capsules. 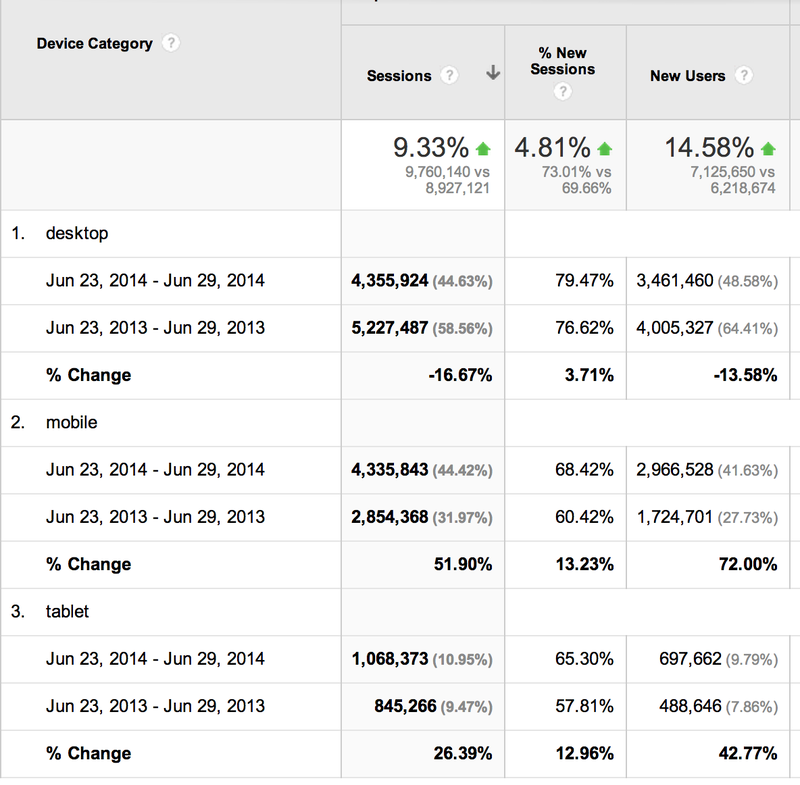 A year ago our traffic was 32% mobile. We are now 44% mobile. At this pace, in the next six months, our traffic will be 50% mobile (not including tablets). The shift is on! 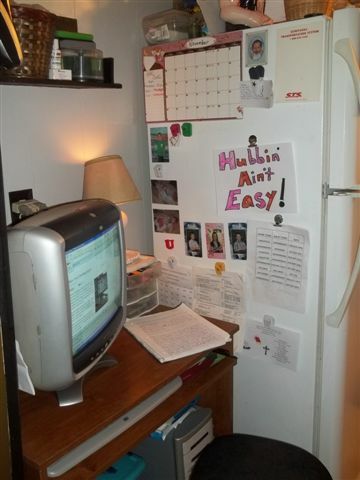 My Hubbing space is located in my busy kitchen right next to the refrigerator. I write most of my first drafts on notebook paper and then type it into the computer later when I am cooking or keeping one of my children company while they have a snack. This location also works best for me because I am able to hear my children while they are playing in the parlor or upstairs in their bedrooms. Hubbin’ Ain’t Easy most of the time with four children and our hectic schedules, but somehow I manage to find time for my writing and with luck it all falls into place! It’s true that we don’t always have the luxury to sit down in a traditional office / writing spot, and I think it’s brilliant that so many Hubbers have found ways to write great Hubs despite very busy and active lifestyles. This is my primary hubbing space. I usually start my Hubs on my blackberry. Typing out things that inspire me or random thoughts since I spend a lot of time of the road commuting. SkeetyD is not alone in Hubbing on the go, as we’ve seen from many other Hubbers who have shared their awesome photos with us over the past two weeks. What I love about SkeetyD’s photo is that it reminds us all that Hubbing is less about a physical space and more about a state of mind. We’ve found that true Hubbers are always Hubbing, whether they’re researching furniture, taking photos on vacation, riding a bike, or writing up drafts on one’s phone while commuting, as SkeetyD does (and as I do as well). So long as you have a phone, camera, notepad, or even a good memory to record your thoughts and ideas, the world is your Hubbing space- and with the ability to share and earn from your passions and expertise online, we say the world is your oyster, too! Big thanks to everyone who shared their awesome Hubbing spaces with us. You can find an album of all of the Hubbing Spaces sent directly to HubPages in the Hubbing Spaces Facebook album and on Google+.